2018 Australian & New Zealand Boutique Wine Awards. Home Hill Winery is nestled in the picturesque Huon Valley, The Huon Valley sits on the same degree of latitude as Bordeaux in France (albeit forty-three degrees south of the equator rather than north). These regions share a similar climate, with winters featuring fog, frost and snow, and an abundance of spring rain. This allows for the slow ripening of fruit during warm months and the perfect conditions for cool climate wine to be produced. 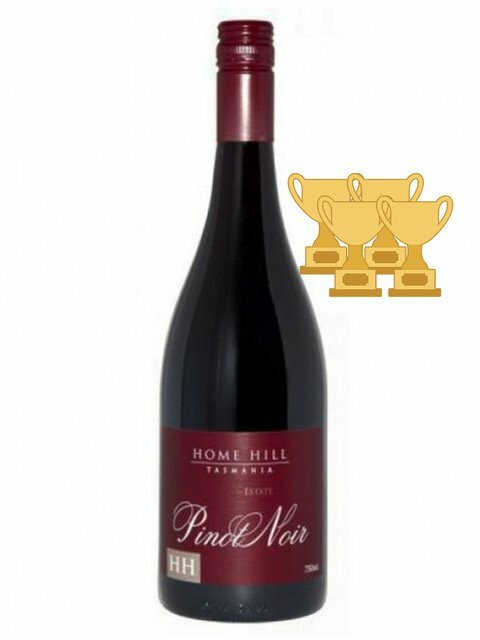 This estate grown pinot noir has intense aromas of cherries, red berry fruits, strawberries and cream, savoury spice. A small amount of whole bunch fermentation was used, giving the palate an elegant complexity and finely textured tannins.